LFI or Light fair International is the world’s largest architectural and commercial lighting trade show. This annual event is a blend of wide range of product exhibition and education courses in the field of lighting and technology. The products exhibited range from high-end designs to latest technological advancement. With more than 25 events, Light fair International has been the favorite destination to witness the latest solutions in the lighting industry. With over 26,000 visitors expected, the profile of these visitors is that of serious buyers. They are professionals in the field of design, lighting, architecture and engineering; they are architectures, contractors, designers and decorators, educators, manufacturers, distributors and wholesalers. From 26th to 28th April 2016, 500 of the best business owners will display their latest technologies and innovations in an area of over 200,000 square feet. The products and solutions to be displayed will include ballasts, contemporary lighting, decorative lighting, control devices, solar products and much more. If you are a business owner of this industry, then taking part in this exhibition will be a deal-breaker for you. With endless opportunities, you can take your business to reach new heights in a span of three days. If you need your next trade Show booth rental and exhibition stands for LFI 2016, Exponents will be an ideal partner for you. We’ve been in San Diego for over 30 years and know the city like the back of our hand. With over 2000+ clients, we are well established and familiar with of all major exhibition center and management needs including shipping, installation, dismantle and trade show support. Exponents, a leader in trade show exhibit manufacturing and booth rentals, offers a wide variety of exhibits to choose from. 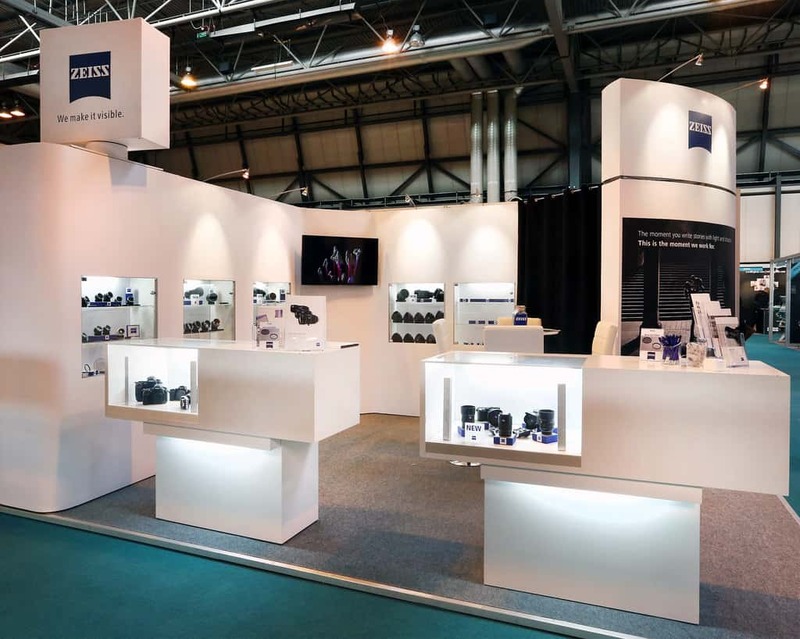 We know that when it comes to creating professional exhibits, high-quality materials and captivating designs are essential to the success of your tradeshow. Our team of professional exhibit designers and builders create exhibits that represent your company in a unique and memorable way through form and function. Not only do we create custom exhibits but we also provide exhibit rental services that are affordable and simple to install. Whatever your exhibit needs are, Exponents is here to help!